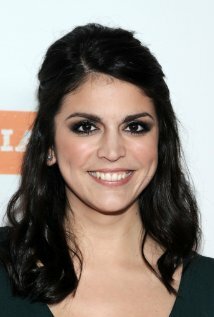 Producer Lorne Michaels announced that Cecily Strong, who joined the “SNL” cast as a feature player last season, will be joining the current anchor Seth Meyers. Meyers is slated to leave midseason where he will replace Jimmy Fallon as the host for NBC’s “Late Night.” However, Michaels hopes to keep Meyers, as the hosting gig will only be Monday through Thursday nights, leaving Meyers’ schedule open on Saturday nights. Strong is most known for her appearances on “Weekend Update” as the character The Girl You Wished You Hadn’t Started a Conversation With at a Party, where she plays a party girl who thinks she knows about current events but is actually making zero sense. Strong is expected to start her new gig on the season premiere on September 28, with “SNL” alum Tina Fey as the host and Arcade Fire as the musical guest. Along with this new addition, six new people have been announced as feature players. This is the most addition in years, partly due to the increasing number of departures including Bill Hader, Andy Samberg, Fred Armisen, Kristen Wiig, and Jason Sudeikis. The new cast, Beck Bennett, Kyle Mooney, John Milhiser, Noah Wells, Mike O’Brien, and Brooks Wheelan, are also expected to start this upcoming season.